Arsenal has released the official lineup to face Manchester United tonight and Unai Emery has made some changes to the team that defeated Tottenham Hotspur on Sunday. So here is the starting eleven that will take on Jose Mourinho’s side. The gunners are without Granit Xhaka because he received his fifth domestic yellow card in their match against Tottenham Hotspur. Mesut Ozil has also missed this game for unknown reasons but the club will probably soon reveal why the German international has missed the game but it’s probably because he still has back spasms. The gunners come into this match with confidence because they are on an unbeaten run of 19 matches and they will be hoping to continue that run today by getting a win against the struggling Manchester United who have failed to get a win in their last three Premier League matches. 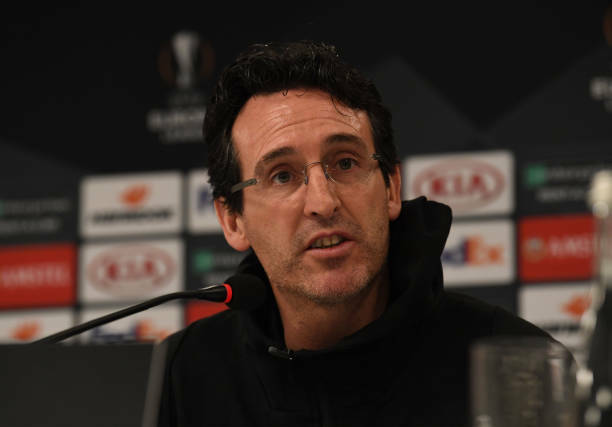 Here is what Unai Emery had to say about their match against Manchester United.